Rubens Santoro spent the first decade of his life in the mountain village of Mongrassano in the Calabria region of southern Italy. Although Calabria is generally a dry and dusty region, the village of Mongrassano is located in the lushly wooded Pollino mountains, making it both cooler and more fertile than much of the surrounding province. The local olive groves have been producing abundant oil since the eighth century BCE when all of southern Italy was part of Magna Grecia; in fact, Mongrassano was founded as a Greek colony during that time. Santoro’s father, Giovanni Battista Santoro (1809-1895) was an artist and was probably himself born into a family of painters. His work can still be seen in the small coastal town of Fuscaldo where he created several altarpieces in association with other artists in his extended family. Rubens was born on October 26, 1859, the oldest of four children. The elder Santoro, who seems to have made a reasonable living designing religious imagery, educated all of his sons to be painters; it is not known whether he also trained his only daughter, Carolina. They learned basic drawing as well as architectural drawing, landscape painting and marine painting in the family studio. Santoro was also influenced by landscape and genre painter, Eduardo Dalbono, (1841-1915) who was living and working in Naples prior to 1878. Dalbono was a regular exhibitor at the independent artists’ society, the Società Promotrice di Belle Arti, and he may well have encouraged the young Santoro to show his painting titled A Girl Who Laughs at Promotrice in 1875. In contrast to his brother Francesco, who became a professor of painting at the Instituto di Belli Artes in 1877, Santoro spent most of his time painting southern Italian landscapes. In 1877, he was traveling the Amalfi coast and selling the resulting paintings to the Goupil Gallery in Paris; that same year, he also exhibited Marina di Maiuri (Maiuri Harbor) and Grotta degli Zingari (Grotto of the Gypsies) at the annual Naples exhibition. One year later, he began exhibiting his work in Paris. During the next two decades, Santoro participated in a number of national and international expositions, beginning with the Esposizione nazionale de belle arti (National Exposition of Fine Arts) in Turin in 1880 and 1884. By 1886 he had received an honorable mention at the Salon in Paris; and in 1893, his work was on display in Chicago at the World’s Columbian Exposition. His work was shown at the Paris Salon consistently from 1904-1909, and he received a silver medal at the annual exhibition in Barcelona in 1911. Clearly, Santoro was persistent and smart about getting as much exposure for his art as possible. Although the date is not well documented, Santoro moved to Venice at some point between 1890 and World War I. This was period when tourism in the city was increasing significantly—lured by the light, the beauty of the urban architecture, and the charm of a floating city. Painters too were enchanted by the visual delight that the city offered. Like the eighteenth century vedute painters, Antonio Canaletto and Francesco Guardi, nineteenth and twentieth century artists also found a steady market for their images of La Serenissima. 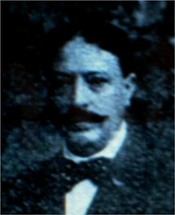 Unlike his non-Italian colleagues, Santoro was able to remain in Venice during the war and continue to work. His sunlit scenes belied the horror that was occurring in northern France and Belgium, which may have made them even more attractive to middle-class art collectors who were weary of the relentless nightmare of trench warfare. At some point during the 1920s, Santoro apparently made several trips to England, perhaps at the invitation of clients who had purchased his canvases during a stay in Venice in happier times. It should be noted that a number of museums in large industrial cities in England own paintings by Santoro, almost always the gift of a local industrialist art collector. After his sojourn in England, and another extended stay in Paris, Santoro returned to Naples where he continued to paint until his death in 1942. [i] Shepherd & Derom Galleries, New Acquisitions: European Paintings, Watercolors, Drawings and Sculpture, 1780-1960 (New York: 2009) No. 23. Auction catalogue. [ii] Cincinnati Art Museum, Catalogue of the Permanent Collection of Paintings (Cincinnati, Ohio, 1915) 57.